While I’ve warned about spoilers, this is not a review of the plot, the characters, who is who and what plot twists there are. However, scattered through the book and culminating in the final chapters is a few concepts that need review and a certain amount of hacking. Read on for more. The concept of human voice or thoughts influencing reality is one of the side concepts that is played out in the book. The field of Noetics claims the measurable impact of the human mind, and the character in the book claimed to have impacted the growth of crystals and other small items just by thinking focused thoughts. It becomes a dangerous counterpart in the book to the search for the Lost Symbol which would give a single human great power of the mind. The key point, found in the discussion between the researcher and a computer programmer, is that when you bring in more humans with focused thoughts, then greater change is possible. If more and more people channeled their thoughts, they could effect changes in the real world. However, the problem is biblical. Since the Tower of Babel, not only has the ability to speak with one language been taken from us, but due to our various cultures, even our ways of thinking are completely different. The likelihood of uniformity in thought and expression is very small. In this way, Noetics fails to understand the human race’s true gift: diversity. Uniformity of thought disregards diversity of expression. It is our differences that make us strong, our diversity that reminds us of our values, our jumbled bunch of random people that study under different people that lead to breakthroughs. It is a seminarian studying with other denominations that evoke in our formation reminders of what is unique and what is shared with everyone. If the divine is found between two people, then the ways in which we isolate the divine moment and presence is truly anathema to the human race. In the ways how humanity ghettoizes our living spaces and lives in the echo chambers, we are minimizing the divine presence. In the ways how our politics of divide and conquer continue to gain momentum, we are going down the set of tracks where the divine is harder and harder to find. 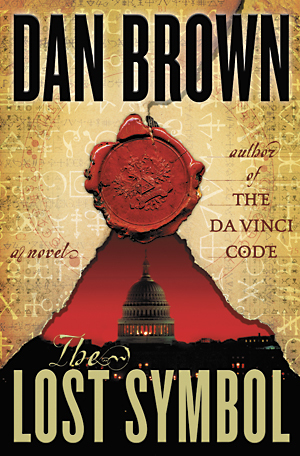 This concludes my review of The Lost Symbol. I enjoyed the book’s merits as a story and am thankful for these two concepts that sparked conversation. Hopefully you will enjoy it also. I agree the your Tower of Babel comment. In today's World. the language problem is still relevant and I believe that the World, now, needs a common, non-national, neutral language! Why not teach such a language, in all countries, in all schools, worldwide? Your readers may be interested in http://uk.youtube.com/watch?v=_YHALnLV9XU Professor Piron was a translator with the United Nations.